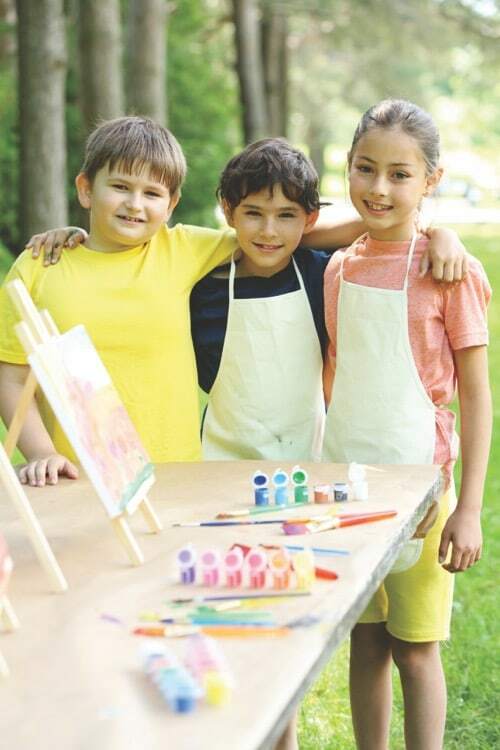 Summer camp offers kids an opportunity to make new friends and experience time away from home while trying new adventures in traditional activities, academics and sports. There are plenty of reasons why kids should attend camp, but instead of seeking out the typical reasons, we found some hidden benefits that every parent should know. Many camps around Northeast Ohio offer animal encounters, however, this type of experience might be new for the camper and their parents. Working with or learning about different types of farm animals — horses, sheep and more — provides an understanding about care. For kids, summer is about exploring their interests and getting creative. Camp offers an opportunity to dig a little deeper. While many schools around the U.S. are cutting down on arts and music programs, summer camp is closing the gap — and it’s not just typical arts classes. Many offer in-depth ways for campers to express themselves, such as playwriting, comics, card-making and more. Whether you have an only child or your child has younger siblings, it’s likely that at camp, they will be mentored by teen and college-age counselors. The fact that campers are able to interact with these ages can have a positive impact. The value of helping others often is spoken about in many circles of the community. However, kids — and parents — might not know how to begin and what opportunities are available. Many camps provide options for kids to “roll up their sleeves” and get involved in projects that help not only people, but also the environment. “I believe summer camp is about much more than simply having fun,” says Joe Mendes, owner and camp director at Camp Roosevelt-Firebird in Bowerston. “Our campers have the opportunity to work as a part of a team to accomplish something for a greater good. This summer, we are exploring several projects: revitalizing and landscaping a township cemetery, and doing volunteer work at an Appalachian Cultural Center, among others. Traditional camp activities abound in many camp environments. However, for teens who are a little more adventurous, there are camps in the region and beyond that provide “out of the box” hands-on experiences, from sports to nature outings. One example is Geauga Park District, which provides an X-treme Day camp that offers grades 8-10 ravine exploration, survival skills, kayaking and more. says John Kolar, chief naturalist at the Geauga Park District. Kolar, along with Dottie Drockton, a camp coordinator, says the benefits of these outdoor education experiences include breaking social media habits, expands campers comfort zone in nature and outdoors, challenges stimulate confidence, self-esteem and more. When summer break begins, learning doesn’t stop — and that includes history lessons. Summer camps provide these learning opportunities for kids, sometimes in the form of an activity, or simply as part of sharing knowledge about the camp’s history. He adds that he likes to draw on history and teach campers about its importance and about how to respect it. The Ohio Station Outlets Train Camp, in Lodi, provides hands-on experience to help kids learn about the impact of Ohio’s railroads locally and nationally, says Trinity D’Andrea Elmiger, general manager and marketing director. “It is important for kids to learn this history so that they understand the importance of local businesses and the impact it has on the growth of the local area and economy,” she says.